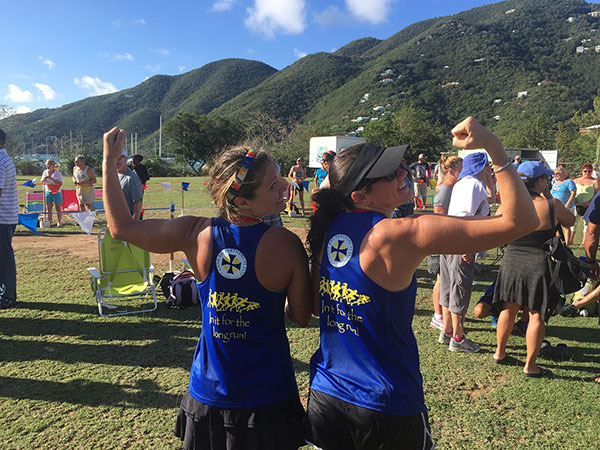 Christiansted, USVI – Cane Bay Partners VI Co-Founders Kirk Chewning and David Johnson on Monday congratulated the approximately 20 St. Croix residents who competed in St. John’s infamous 8 Tuff Miles race from Cruz Bay to Coral Bay on Saturday, Feb. 27. 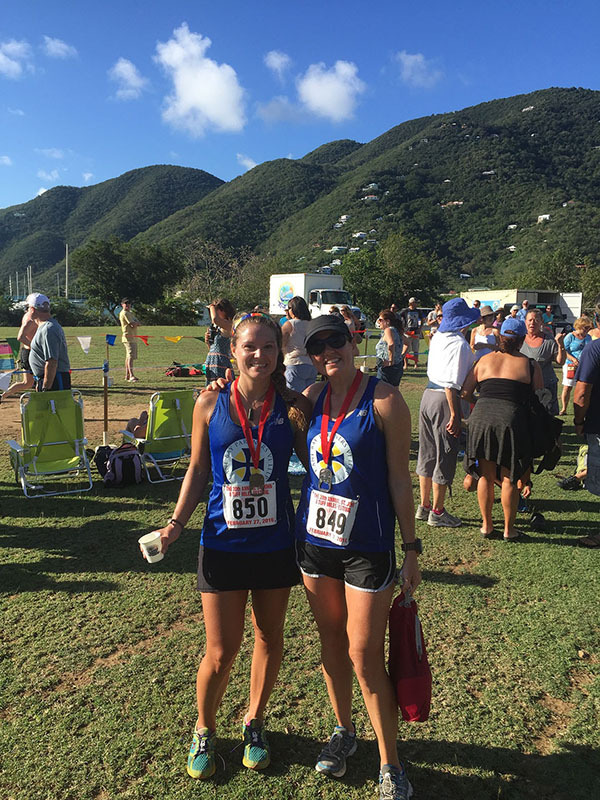 Team Cane Bay VI included two St. Croix runners, Julie Sommer and Robin Seila. Team Cane Bay VI runners Julie Sommer and Robin Seila show off their Team Cane Bay VI shirts after the race Saturday. This was Julie’s fourth time in the race, placing in the top three in her age group each time. Julie placed female sixth overall and third in her age group.